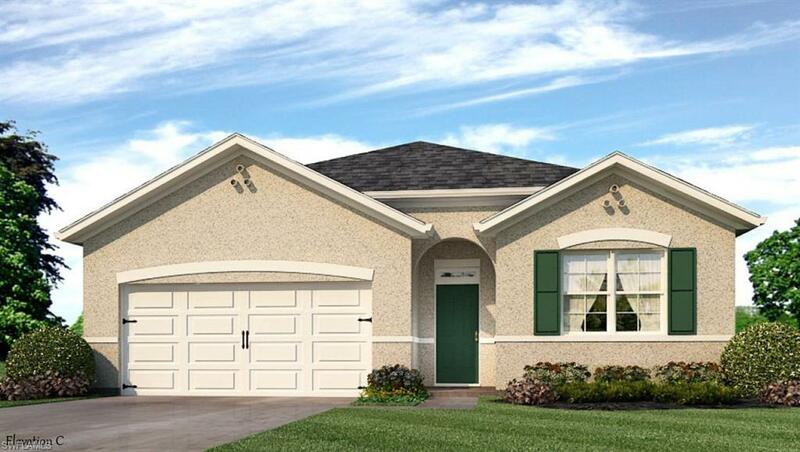 Don't miss your opportunity to own this brand new move-in ready home! Enjoy peace of mind having an amazing new home in an existing community with NO HOA OR CDD FEES!!! 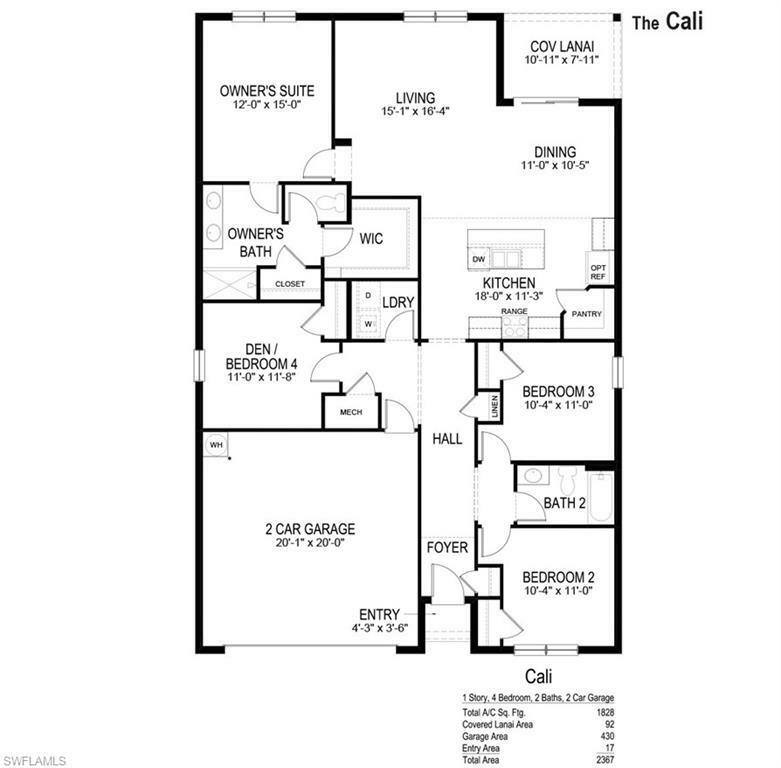 The popular CALI PLAN boasts 1828 square feet of living area. Featuring a large great room with living and dining adjacent to the beautiful island kitchen with a big corner pantry. Split bedroom plan with the owners suite enjoying a view of the back yard. 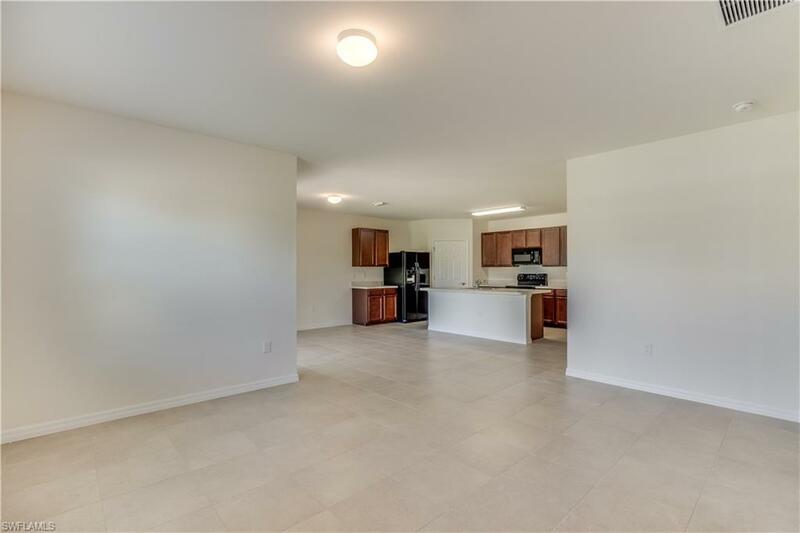 Lots of space in a floor plan with 2 linen closets, a separate laundry room, mechanical room and covered patio. 18x18 tile in all living areas and carpet in the bedrooms. Full appliance package with washer and dryer plus blinds are included. 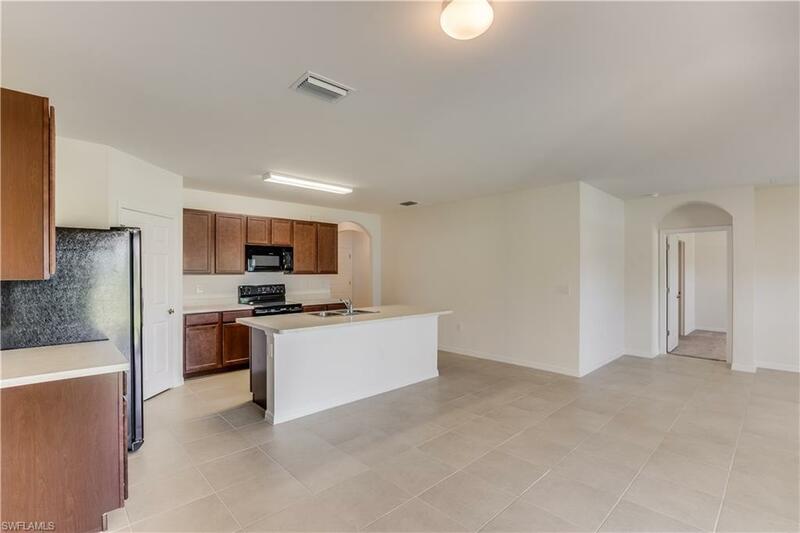 Great location in South Fort Myers!!! ***Photographs, colors, features, and sizes are for illustration purposes only and will vary from the homes as built.